In collaboration with Red River College Faculty of Nursing and Health Canada, eTV produced Journey North: A Virtual Nursing Experience. 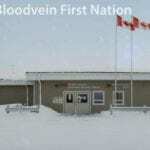 This virtual community features an interactive tour of a Health Canada nursing station located on Bloodvein First Nation in northern Manitoba. The nursing station consists of 17 exploratory rooms and points, 10 of which are 360° panorama rooms. Supplemented by videos, photos, audio, and a number of medical scenarios, Journey North allows Nursing students the opportunity to explore and learn about northern community health nursing, as well as aboriginal culture and traditions. After a number of evaluation phases and an official demonstration meeting, Journey North has received positive reviews from RRC students, staff, and faculty, as well as representatives from Health Canada. It was also recently presented at the Western & North-Western Region Canadian Association of Schools of Nursing (WNRCASN) Conference, where it received similar positive feedback and many excited responses. eTV, the Faculty of Nursing, and Health Canada are all excited for the potential of this project as well as future endeavors into interactive, immersive learning environments. 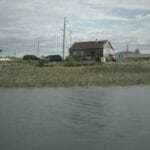 Journey North will be available for viewing in late March 2014.